This Eye Cream complex is a luxuriously soft, firming eye cream. Formulated specifically for the delicate eye area, this cream contains a powerful age-defying, multi-vitamin formula to hydrate, correct, and protect the eye area. Clinically tested and Dermatologist reviewed proven to be non-irritating. Directions: Gently apply onto clean skin around the eyes, focusing on fine lines and under-eye circles. Use Daily. Directions: Over clean skin, massage in circular motions until fully absorbed. Use daily. Be Flawless Forever Nourishing Night Cream contains fine diamond powder along with skin conditioning vitamins to revitalize and regenerate your skin while you sleep. Richly luxurious, this night cream absorbs quickly, leaving your skin smooth, supple, hydrated, and refreshed. Directions: Apply to clean face and neck. Use Daily. Directions: Apply to clean face and neck, massaging gently until fully absorbed. Use Daily. This Hand and Body Cream is a balanced formulation of essential oils, plant extracts, skin-nourishing vitamins, minerals, and antioxidants. 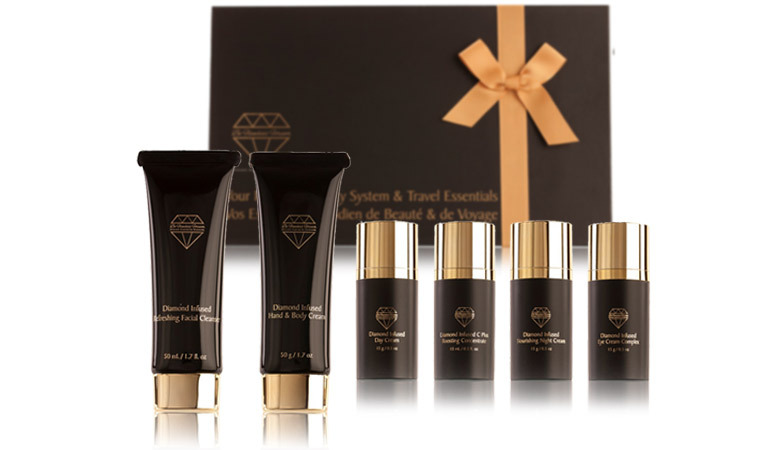 Enriched with natural diamond powder, it will keep your skin hydrated, nourished, and rejuvenated. This Hand and Body Cream quickly penetrates the skin to make it feel soft, smooth, and supple. Directions: Smooth onto clean skin and massage lightly until fully absorbed. Use as needed. Perfect for use after manicures or pedicure. Use Daily. This Diamond Infused Refreshing Cleanser is a unique blend of exclusive minerals, essential oils, and botanical extracts. Extra-fine diamond powder is added to our formula to gently cleanse, allowing the multi-vitamin nutrients to penetrate the skin's surface for maximum results while cleansing. This cleanser effectively cleanses away make-up and impurities. It soothes, hydrates, and refreshes the skin while cleansing. After removal, your skin will feel and look radiant and refreshed. Directions: Massage over wet face and neck. Rinse off with warm water. Use daily.